Get 2 medium pizzas, 8 boneless bites, reg breadsticks dips and Hershey' Chipits cookie for $33.99 at Pizza Hut. Buy one medium or large pizza, get the second for $5 and get a $5 voucher for free. Buy 1 medium or large pizza, get the 2nd, 3rd and 4th for only $5. Although it might be tough to compete against other pizza giants like Pizza Pizza, Boston Pizza and Dominos, Pizza Hut has kept itself firmly in the running since opening its first Canadian location in the early 1960's. With a steady flow of fresh offerings and a great family atmosphere, Pizza Hut is a top spot for dining and a great option for delivery. BOGO deals when you apply your Pizza Hut coupon code to your order. Discounts on specific Pizza Hut menu items when you use your coupon. Meal deals when you use your Pizza Hut discount code. And the best part about ordering your pizza online? Pizza Hut online specials! The pizza chain frequently offers special promotions that are applicable to online orders only. Ready to save on your Pizza Hut online order? Choose your deal and copy the code. When you've picked your menu items and are ready to set your order on its way, click on the pizza box icon at the top right-hand corner of your page.  On the order summary page, check over your order, and paste your Pizza Hut code into the field marked "Coupon Code" located at the bottom of the page. NOTE: Before you can add items to your order, you will need to select your Pizza Hut store from a list of Pizza Hut locations in your area. Simply enter your postal code or complete street address into the restaurant locator. Keep in mind that depending on your location, Pizza Hut delivery might not be available as an option. Pizza Hut is one of Canada’s favourite pizza restaurants! Order online to get delivery or pickup near you with a discount from us. Get your next meal of pizza, pasta wings and so much more.